Are you ready to make your next camping vacation a luxurious getaway? 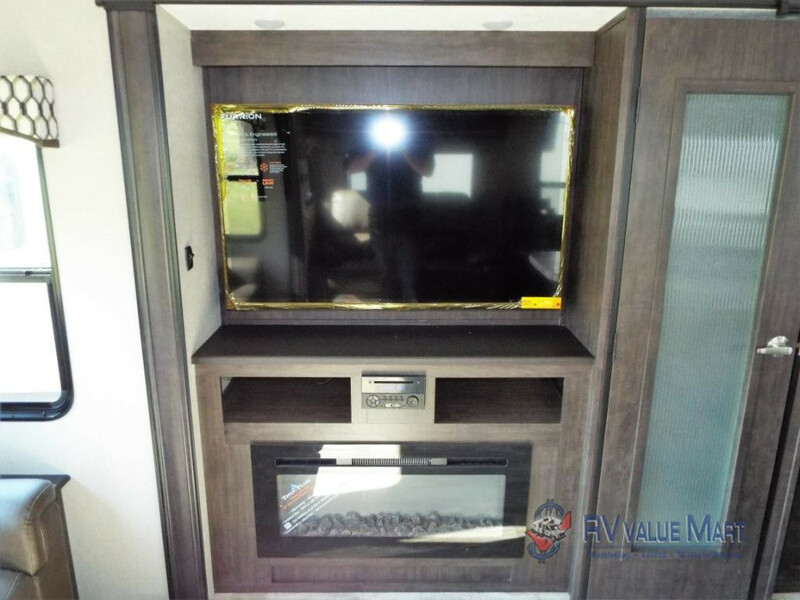 Then, you won’t want to miss this incredible 2019 Shasta Phoenix fifth wheel for sale at RV Value Mart! This beautiful fifth wheel is packed full of amazing features that will ensure you have comfort wherever you go. In this Shasta Phoenix fifth wheel review, we’ll show you just what there is to love about this RV. 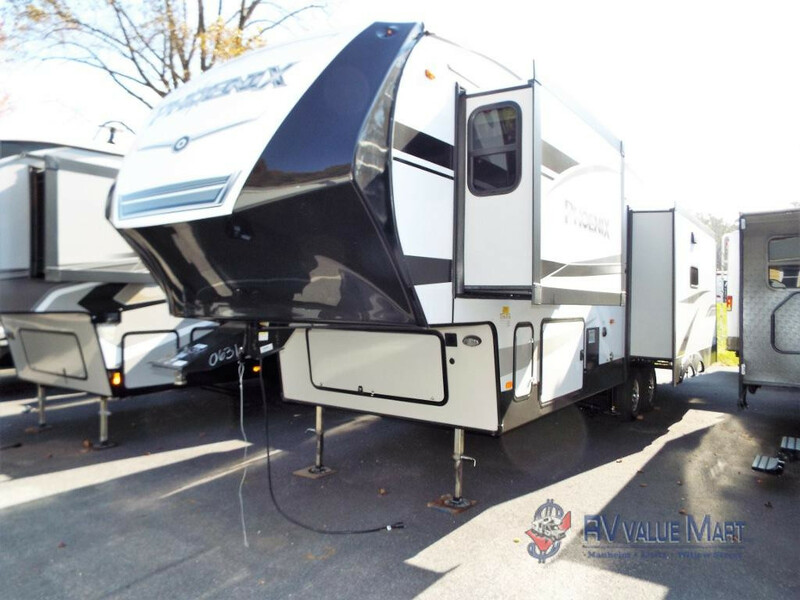 Find more 2019 fifth wheels for sale at RV Value Mart! The Shasta Phoenix is stunning inside and out! Step inside, and you are greeted with this gorgeous kitchen that comes complete with a residential fridge, kitchen island, and stainless steel appliances. You’ll have plenty of storage space since this model offers two pantry spaces! The three interior slides maximize your liveable space, and you’ll love to kick back in the living room and turn on the game or enjoy a cozy evening by the fireplace. This spacious kitchen features plenty of counter space and lots of natural light. 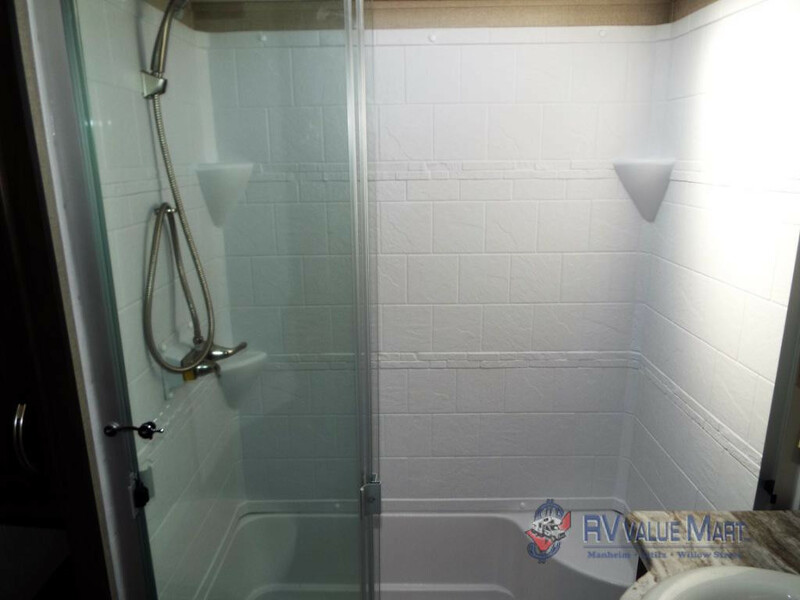 In addition to the residential fridge, this 33′ 10″ fifth wheel sports a full-size shower stall in the bathroom. The skylight allows for natural light to flow in and brightens the space, even on dismal days. The master bedroom features a queen bed, with an optional upgrade to a king-size, if that’s more your style, and a massive wardrobe for all your things. Enjoy a spa-like experience, no matter where you roam. 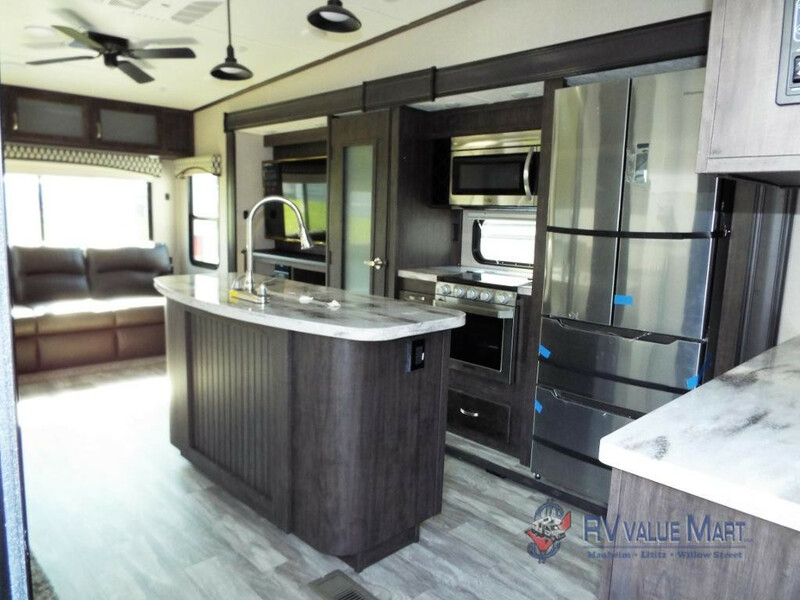 Right now, RV Value Mart is offering this 2019 Shasta Phoenix at just $40,999! That’s over $18,000 in savings, and when you apply for our financing options, your payments could be as low as only $311 per month. With prices that low, you can afford a little luxury! Enjoy the beautiful fireplace or turn on the 55″ LED HDTV and catch the game! Don’t miss your chance to cash in on huge savings with this 2019 Shasta Phoenix fifth wheel! Take home your ticket to luxury on the road today! Contact us for more information. RV Tips: What Kind of RV Can I Tow? Forest River Cherokee Wolf Pack Toy Hauler Fifth Wheel Review: 13 Feet of Cargo Space!! !